Oh and you still have to publish it so it looks good. If the prospect of all this gives you nightmares, maybe the new version of ScreenSteps is for you. Frankly I hadn’t heard of the app before, so can’t comment on the jump form the old to new version, but I can say that I downloaded the app and was able to crank out a simple WordPress how-to in about five minutes. 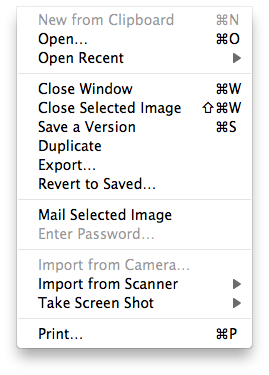 With the launch of ScreenSteps 2.8.7. ScreenSteps has also launched a new lesson sharing site called ScreenSteps.me in beta. After signing up for the beta and getting my confirmation I uploaded my WordPress lesson with one click. ScreenSteps.me even uses SSL to encrypt your login session (I don’t know about data transmission though). If you find steps are out of order or you need to add a step, yes dragging and dropping works just fine to move things around. ScreenSteps Desktop is available for both Macs and PCs and comes in a “regular” version for $40 and a “pro” version for $80. The feature comparison is very helpful, so after the 14-day free trial you can have a good idea of which version you need. And in case you might be wondering, yeah, the web versions you upload to ScreenSteps.me even look great on mobile devices.